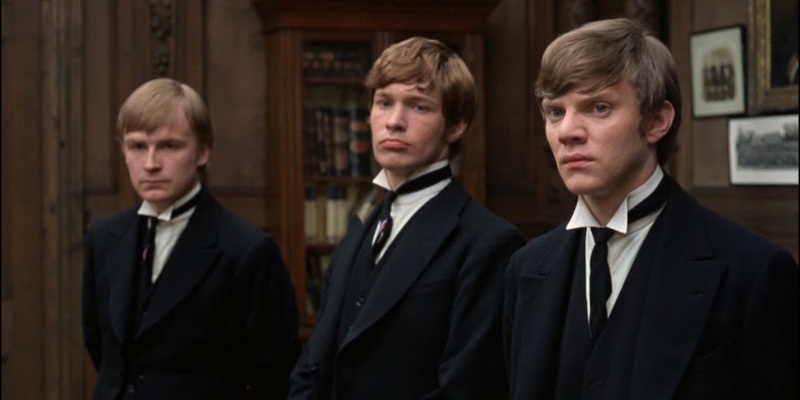 Lindsay Anderson, If..., 1968, DCP, color, sound, 111 minutes. BRITAIN’S NATIONAL IDENTITY CRISIS! Angry young white men! The depraved, authority-huffing upper class! The stifling production line of corrupt Western educational institutions! And don’t forget a side of gun violence. 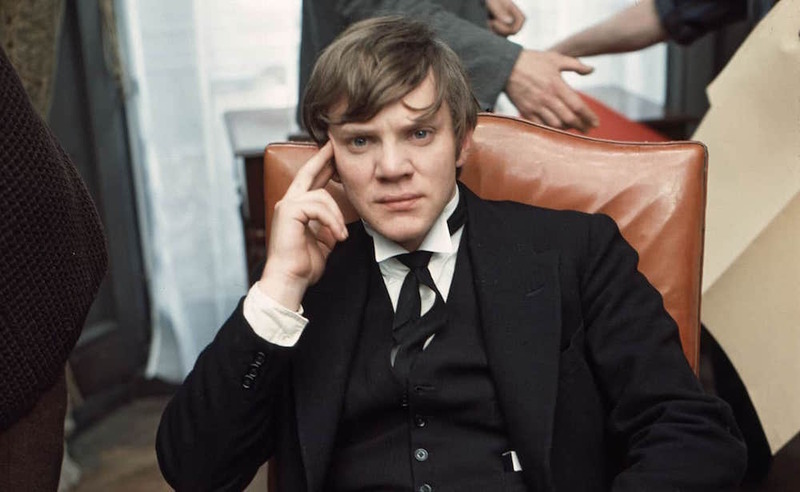 If…, Lindsay Anderson’s tale of British boarding school bedlam, was released at the end of 1968 but seems primed to punch the buttons of today’s audiences, which hardly need to set a Google Alert to be inundated with horrific happenings related to the aforementioned topics. Then again, this is a film from a country where more than 90 percent of police officers don’t carry guns. And although If…’s proto–Travis Bickle is also named Travis (surname-wise), he’s no working-class stiff but instead a young curmudgeon who finds himself privileged enough to be trapped in an all-boys public school in the British countryside, the kind of institution that preps generation after generation to maintain England’s status quo under the sign of service. And all one has to do to inherit the earth and lead the empire is let his spirit be broken by power-tripping twits in waistcoats. Combined with an obvious relish for ironic gestures—he sarcastically applauds his Whip-aspirational roommate and whispers faux-moralizing reprimands to him after lights-out—his growing resentment of his situation makes him an easy target for the Whips, who seem to have most matters of discipline and maintenance of student life delegated to their judgment by the supposed adult in the room, a hapless housemaster, whose most memorable scene involves singing while perched on his own twin bed next to his wife’s as she dutifully honks some notes on a recorder. The Whips dish out commands as if they were born with a compulsive tic, barking “No talking!” and “Silence!” at a dining hall assembly, regardless of the fact that no one was actually speaking. As one says to Travis, proudly brandishing his badge-embellished jacket: “I serve the nation!” Charming, but meaningless to Travis and company, who are more interested in singular acts, best summarized by the burgeoning insurrectionist’s steely declaration: “One man can change the world with a bullet in the right place.” That’s just how World War I got started. As it becomes apparent that this can’t possibly end well, little flickers of absurdity and even surrealism start to crack the processional parade of abuse and citizenry shaping. The headmaster leads a gaggle of Whips around campus, discoursing on the glory of their nation: “Britain today is a powerhouse . . . everything from pop music to pig-breeding,” and elsewhere concludes that “education in Britain is a nubile Cinderella—sparsely clad and much interfered with.” If you say so! In one scene, a history teacher rolls into the lesson on his bicycle and proceeds to look out over a sea of bored, non-comprehending faces to announce the topic of “Europe in the nineteenth century and the growth of nationalism.” Sounds familiar. He goes on: “The growth of technology—telegraph, cheap newspapers, railways, transport—is matched by a failure of imagination . . . a fatal inability to understand the meaning and consequences of all these levers, wires, and railways, climaxing in 1914, when the German kaiser is told by his generals that he cannot stop the war he has started because it will spoil the railway timetables upon which victory depended.” This startling, drive-by account of history receives no reaction from the assembled pupils. He continues: “Or perhaps you fashionably and happily believe that it’s all a simple matter of evil dictators rather than whole populations of evil people like . . . ourselves? Do you disagree? Don’t you find this view of history facile? No? Do you have a view?” If Travis does, he doesn’t share it. The classroom is not his war room. Johnny reads Travis an Aries horoscope from a women’s magazine: “Resist any temptation to go into battle this month, otherwise you risk not only being on the wrong side but in the wrong war.” To which Travis poetically responds, almost in rapture: “The whole world will end soon. Black brittle bodies peeling into ash.” His friend Wallace, who is prone to practicing his guitar in the toilets, replies by worrying he’s going bald. Such humdrum 180-degree turns of conversation ballast the film, as if assurances of doom along with practical banalities are just so much sandpaper to texture days and nights into a toothy terrain, one which Travis wants to dig up entirely, just to see what might happen. Like running through town handcuffed to your friend before a more obvious gesture: Stealing a motorbike for a joyride. And that’s just what Johnny and Travis do, ending up at a roadside café where they meet a girl who becomes their ally for the film’s dénouement: a preposterous rain of bullets. Even on the occasion of its screening as part of a new series at the Brooklyn Academy of Music—under the umbrella theme of “On Resentment,” part of Triple Canopy’s extended programming for a recent issue of their online magazine—we might still sidestep the habit of considering art with the hazy critical prompt of “Why this, why now?” and avoid projecting today’s context onto a film from fifty years ago. If… is a surreal satire set in a hermetically sealed world populated mainly by caricatures of an upper-crust culture, and it’s from a time and place when school shootings weren’t part of the drill, when maybe all you had to duck were canings, condescension, and confiscations—the good old bad days. 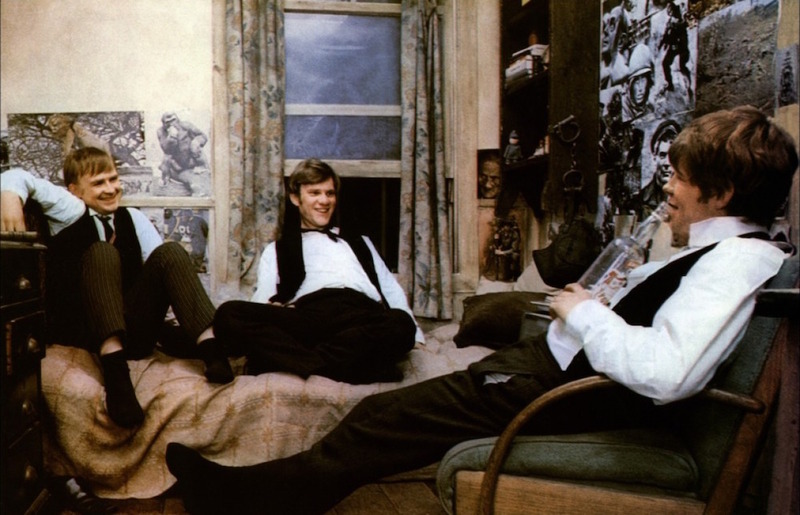 For a more serious critique of class and its warping grip on Britain’s reality, one might do better turning to the Harold Pinter–penned and Joseph Losey–directed film The Servant (1963). And for a picture where the violence never turns camp and no barrister jobs or cabinet positions await anyone who can withstand the thrashings that school has to offer, you could do worse than peeking through your fingers at Alan Clarke’s Scum (1979), which is a relentless voyage into the Borstal system for youngsters with no prospects. The school as holding pen for minors produces real danger and violence, while the prestigious institutions are due for some backlash and rebellion, not with guns, but via withdrawal. School is over, if you want it to be.